St. Patrick’s National school through these guidelines aim to help all those involved in our school community, that is, children, staff and parents in develop in positive responsible attitudes to eating and to appreciate the contribution that good food makes to health. 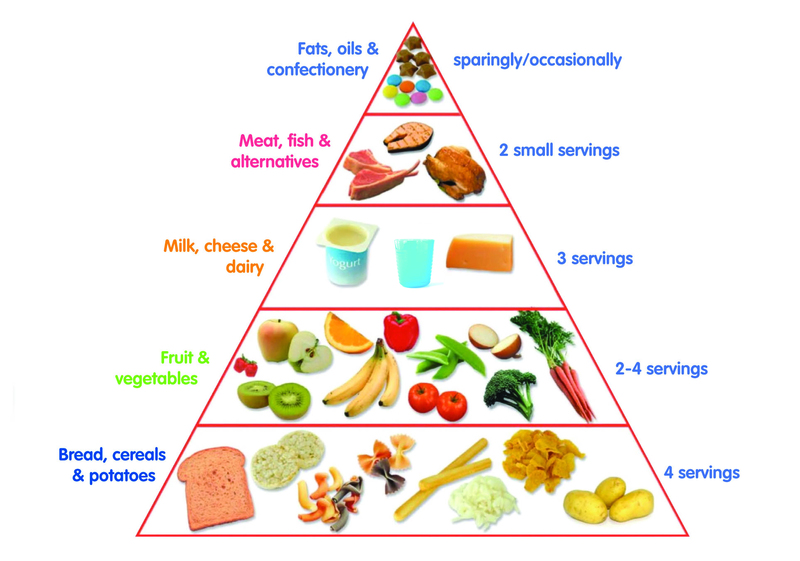 A healthy lunchbox includes a piece of food from the first four shelves of the food pyramid (see attached). We would ask not to have crisps, sweets bars or fizzy drinks in their lunchboxes. Cans and glasses are not permitted for safety and litter reason. In order to reduce litter and follow our green code it has been suggested that lunch box litter be taken home therefore try to avoid too much packaging in lunch boxes. Healthier choice of drink includes water, milk, sugar free diluting juice or unsweetened juice. Some of the healthy snacks that we encourage for the small break include popcorn, fruit yoghurt, forage fraise and crackers. All classes will receive a minimum of two lessons on healthy eating. The opportunity to attend a healthy eating information evening will be offered to all parents. Contact has been made with NWBC Dietician. The school has and incentive scheme to encourage healthy eating. In early September the Healthy Eating Guidelines will be reviewed and a Healthy Eating Awareness week held. Due to allergies, under no circumstances are nuts to be brought into school.